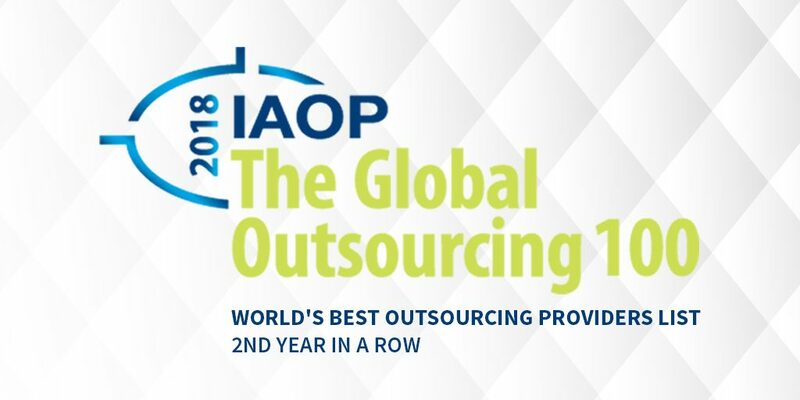 Acquire BPO hits the mark for the second year in a row, claiming a spot among the best outsourcing service providers in the 2018 Global Outsourcing (GO) list of the International Association of Outsourcing Professionals® (IAOP®). 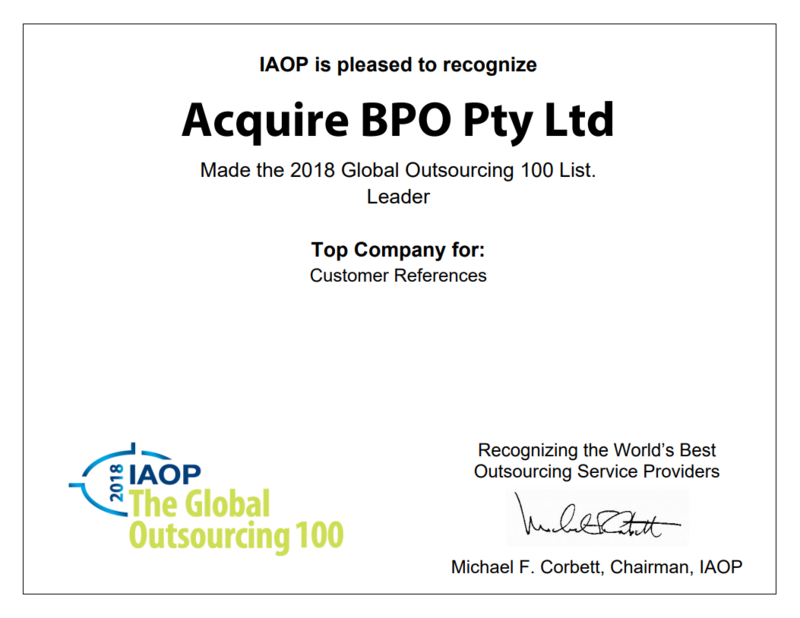 Acquire remains the only Australian company in this definitive list of outsourcers around the world which was unveiled on February 21 at the 2018 IAOP Outsourcing World Summit in Orlando, Florida. “We’re proud to be recognised as one of the world’s best outsourcing providers again this year,” says Acquire CEO Scott Stavretis. “This win is a testament to the amazing dedication and hard work of our global team of 7,000. It also galvanizes our strategy towards innovation—evolving from being a Contact Centre Outsourcer to a true Business Process Outsourcer, addressing organisations’ needs for business efficiency, automation and exceptional customer experiences,” Stavretis adds. The inclusion strengthens Acquire’s hold in the BPO space and continues its winning streak, recently bagging the Best People and Culture award at Contact Centre Week, ranking on the Australian Financial Review’s Fast 100 list and winning gold for Excellence in Customer Service at the SSON awards. IAOP is a widely recognised association that brings together customers, providers, and advisors in a collaborative, knowledge-based environment promoting professional and organizational development, recognition, certification and excellence. Using a thorough scoring methodology, IAOP®, led by its independent panel of customer members with extensive experience in the outsourcing space, judged companies based on size and growth, customer references, awards and certifications, programs for innovation and corporate social responsibility.